We can help you improve your early Mustang, Falcon, Fairlane and Comet with today’s handling & performance! A lot of ’60s and ’70s vehicles had sloppy front end control. The stamped upper and lower control arms with rubber bushings flex a lot, over every bump and around every turn. 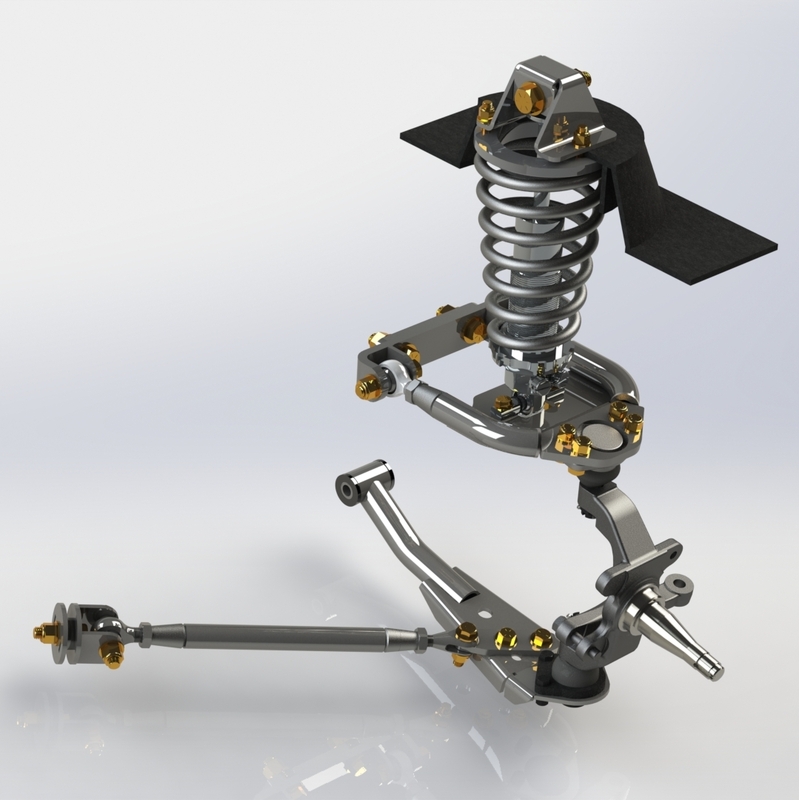 Our bolt-in front coil over conversion system for Ford & Mercury vehicles adds handling, safety, control and performance by controlling flex, managing spring travel, dampening harsh road conditions and correcting some of the factory geometry. 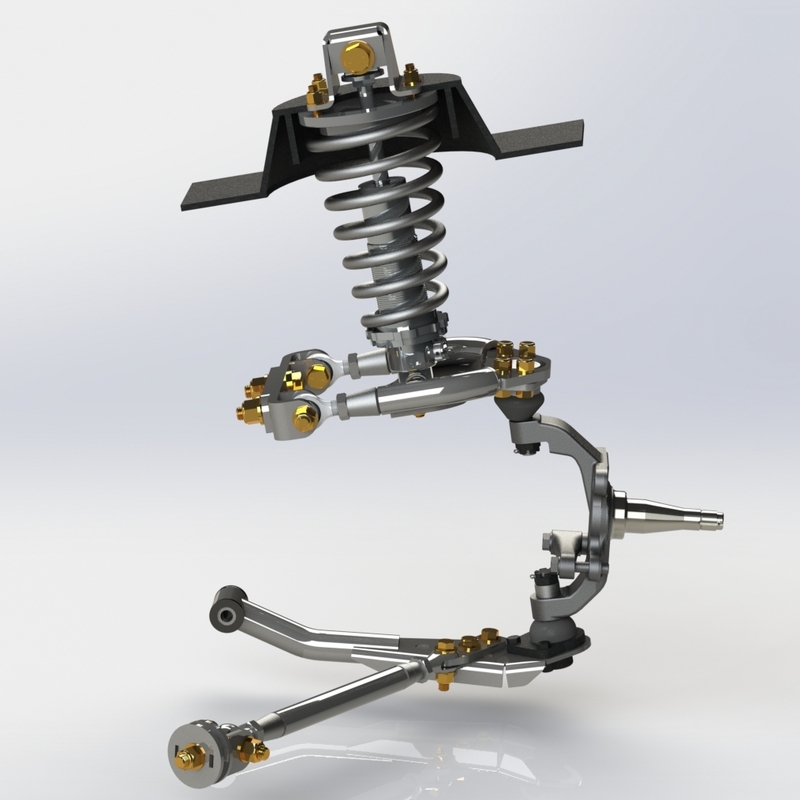 The upper control arm is fully adjustable and can provide up to 5 degrees of positive caster on most cars. The supplied tubular control arms are made of seamless DOM steel, ball joint housings are custom laser cut and CNC formed, and our bushings are custom polygraphite that will not squeak or prematurely wear. This system is a direct bolt-in and does not require any welding or cutting. There are other-coil over conversions in the marketplace, but ours is designed to carry the vehicle load correctly, just as the manufacturer intended. The 60s and early 70s Ford vehicles were designed to hold the vehicle weight on the upper control arm, and that’s where we keep it. Some of our competitors transfer the weight to the lower control arm, which was never designed to carry the weight of the vehicle. Everything will bolt right back on: strut rods, spindles, brakes and sway bar. If you want a little more adjustablity, we do have an optional adjustable strut rod kit. No cutting or welding. Some drilling may be required. We have lots of additional items for your AMC and Ford vehicles.